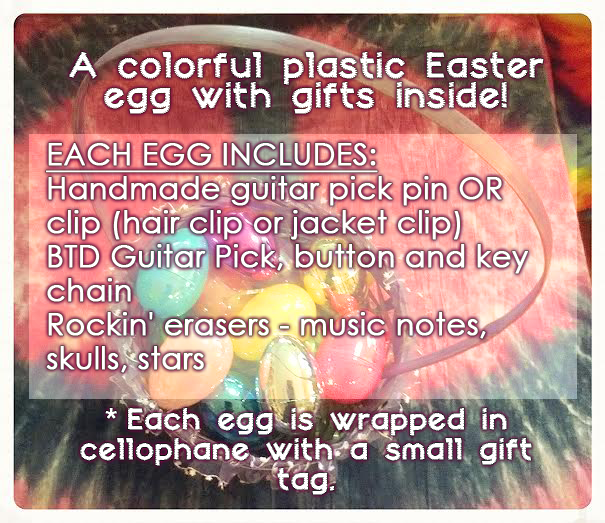 Guitar pick clips and pins make great a gift for the Easter holiday! Each item is handmade, unique and ready to be worn! 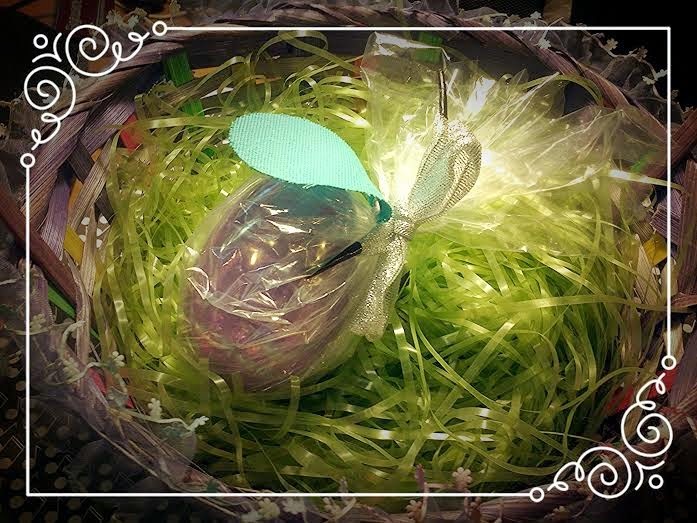 A colorful plastic Easter egg with gifts inside! 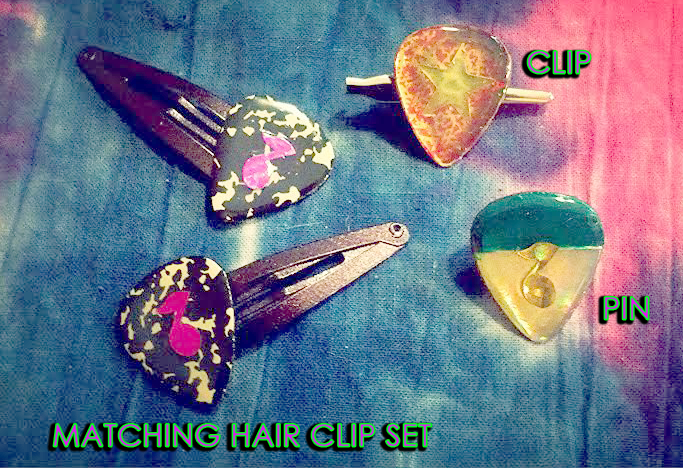 Pictured above are examples of the matching hair clips, pins and clips.